So what’s all this hype over OLAPLEX? Here is what I know- Your hair is broken and needs to be fixed. There are a number of products on the market that have claimed to fix hair from the inside out, but OLAPLEX is the only one that has a proven track record of really, truly working. The proof really is in the pudding. 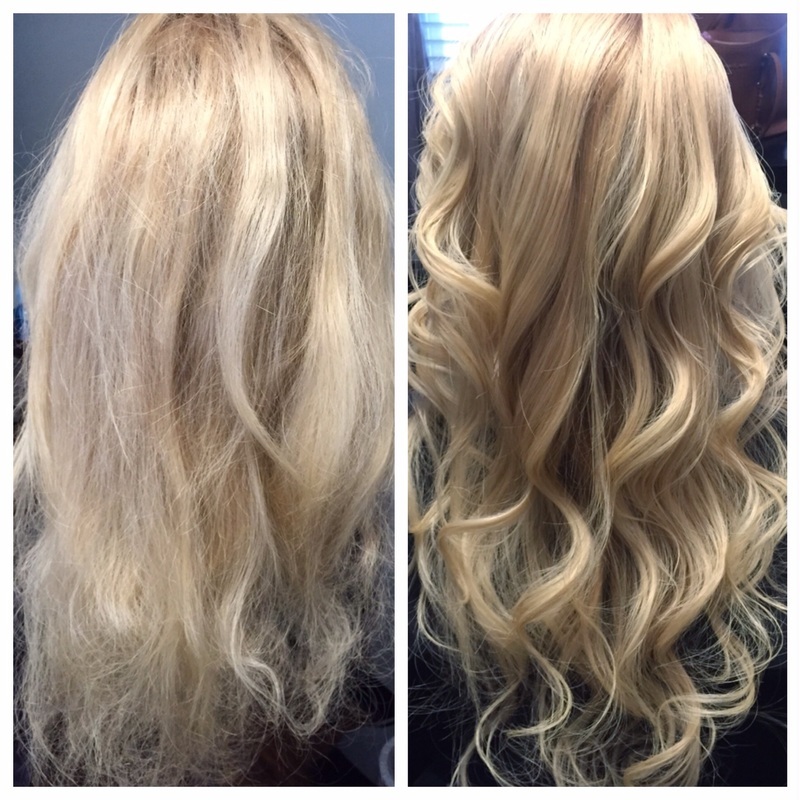 OLAPLEX can be used as a three step system. No. 1 & No. 2 are used during color and chemical treatments in the salon. No. 3 works as a standalone treatment. No. 3 is the treatment that can be used by you, the client, at home, to maintain your color or chemically treated natural hair, a hair system, topper, or hair extensions. How and why does this work for hair systems? If you are wearing a hair system, a topper or hair extensions that are human hair, this hair has likely been treated with chemicals or color treatment at one point or another. Even if you are wearing virgin hair, and you may still experience dryness that can be difficult or experience dryness, damage or split ends that come from the use of heat tools on your hair. These treatments can also cause the same kind of dryness, damage and broken bonds and OLAPLEX No. 3 treatment can also be very useful here. If you are experiencing thinning, have problem hair, or have considered wearing some sort of supplemental hair but have not taken the plunge yet, you can also use this treatment to maintain or restore health to your natural hair. **Remember, OLAPLEX is NOT a conditioner, it is a repair treatment. OLAPLEX does not leave behind residue or cause build up from extended use the same way that deep conditioners or leave in conditioners can do. If you wear hair and have struggled with dry hair and conditioners that don’t seem to work, you know what a great thing this is! You can purchase OLAPLEX No. 3 in a 3.3oz bottle for $30 to continue improving the health and strength of your hair from your own home. Depending on how much hair you have, this bottle contains 6-10 weekly treatments for you to do at home. We highly recommend that you use this at-home treatment to reap the full benefits of the Olaplex treatment!